Divine Photo Prints on Metal are ready to hang. For modern high-definition photography, nothing quite matches these unique prints…Photo inks are infused onto the poly-coated metal maximizing the brilliance and contrast from each photo. 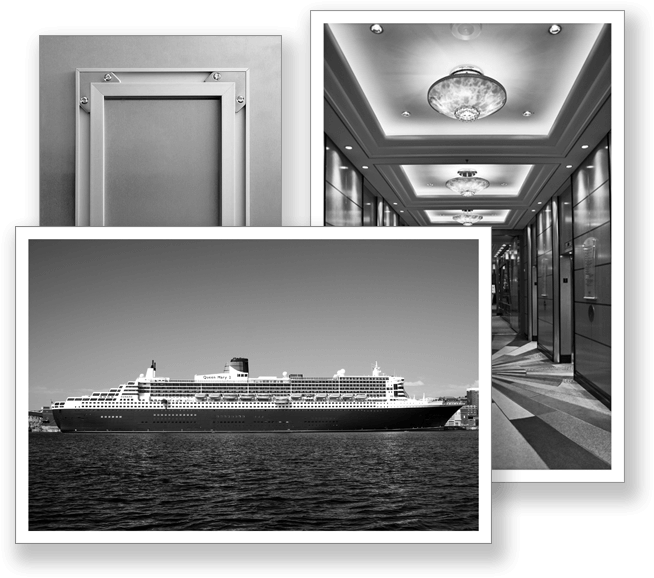 Divine Photo Prints on Metal bring Cunard, Queen Mary 2 and ocean travel into your home, office or any space. J D Schwartz’ black and white photography makes for a nostaglic yet contemporary look and feel and complements any interior design application or environment. Canadian and UK shipping additional. For Landscape : Print / Frame size : 36" X 24"
For Portrait : Print / Frame size : 24" X 36"